Manufacturer’s Representative for companies specializing in Instrumentation for Experimental High-Energy Physics, Nuclear Physics, Nuclear Engineering, the Particle Accelerator Community, and related fields. 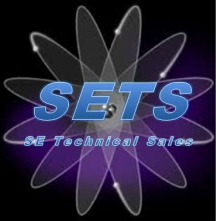 SE Technical Sales (SETS) is a specialized manufacturer’s representative company based in upstate South Carolina. SETS provides sales and support services to customers located in the southern U.S., from D.C. to New Mexico, as well as Pennsylvania. 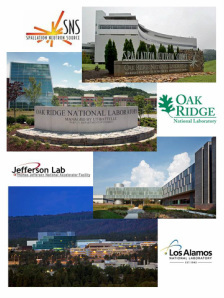 Our customers are primarily located at or affiliated with research laboratories (Jefferson Lab, Oak Ridge National Lab/SNS, Los Alamos National Lab) and universities with a focus on physics and engineering. Through decades of hard work and dedication, SE Technical Sales has developed an extensive network of customers, friends, and colleagues in the disciplines of experimental high energy physics, nuclear physics, hadron physics, astrophysics, particle physics, biophysics, and nuclear and materials engineering. SETS is determined to provide our customers and our principles with the highest level of support, service, and expertise; striking the perfect customer-manufacturer balance. CAEN designs and manufactures high voltage and low voltage power supplies and digital and analog data acquisition instrumentation in VME, NIM, and Desktop form factors. Please click the CAEN tab (left-hand column) for product weblinks and information. CAENels designs and manufactures bipolar power supplies, picoammeters, and precision current transducers geared primarily for the particle accelerator community. Please click the CAENels tab (left-hand column) for product weblinks and information. The states highlighted in blue are covered by SE Technical Sales. If you are interested in product details, support, quotations, or scheduling an on-site visit please click the map. It will take you to our contact page .